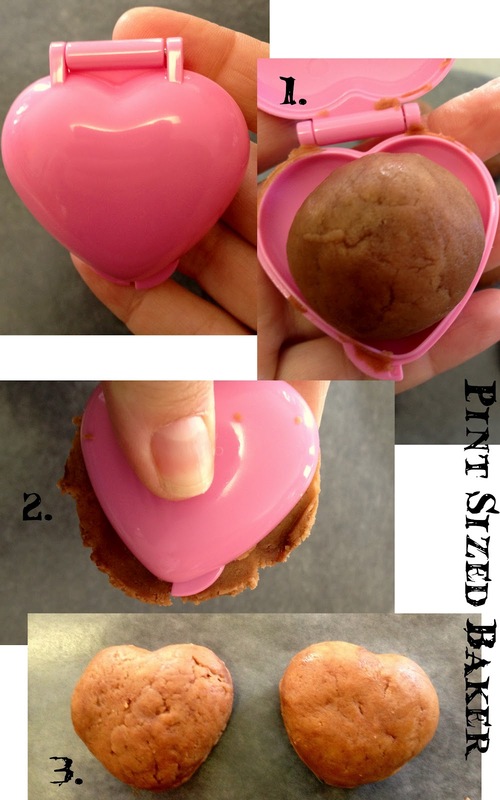 It all started with the cake pop molds… the HEART cake pop mold, to be precise. It was destiny. I knew the minute I saw the mold that it was destined to be a VAMPIRE! 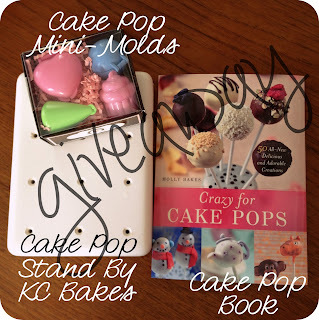 As part of my final Blog Birthday Giveaway, I am giving away a 4 piece cake pop kit along with a 12 cake pop stand and a book on making cake pops! Step 1. – Measure out and roll the cake pop batter. Step 2. Press the mold closed and clean away the excess that squishes out. Step 3. Carefully remove the shaped cake pop. * NOTE – If you don’t pre-roll the pop, it will have a more cracked appearance like the pop on the left. Step 4. Dip in white candy melts. Step 5. 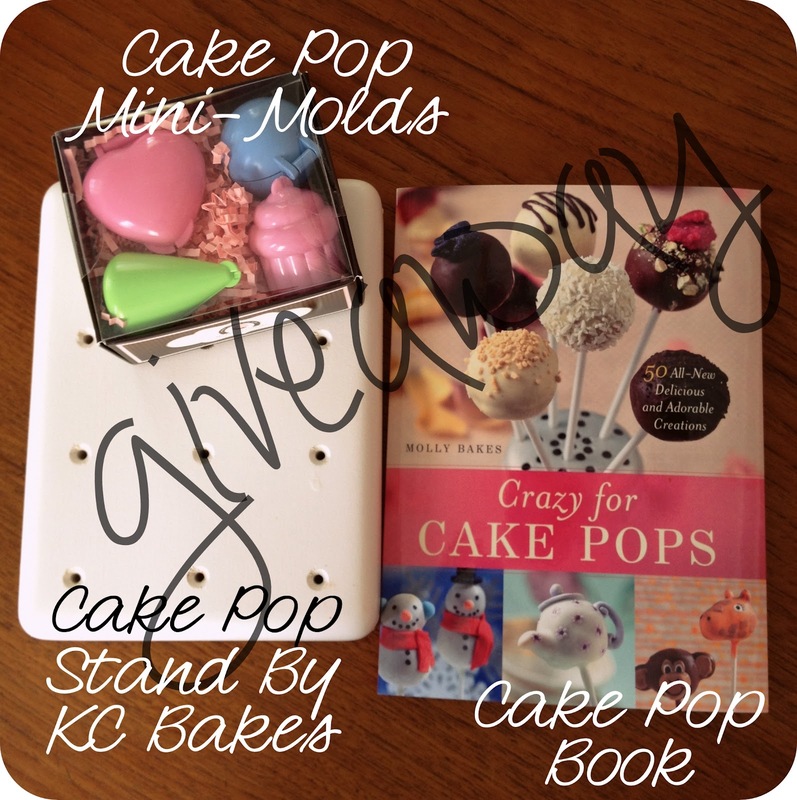 Allow to dry using you Cake Pop Stand by KC Bakes. Step 5. Melt some black candy and put it in a baggie with the corner snipped off. Draw on the hair. Step 7. Attach eyeballs with a dot of candy. Add mouth with black candy and red jimmies as fangs. These Little Vampires were so much fun to make. They were a little plain, so I played with coloring the candy eyes, but I didn’t like it. I also made a Bram Stoker’s Dracula with the bouffant hair-do. But – eh… Plain worked best. My Little Cup was thrilled to see these when she came home from school. And to me, that’s what matters most. New Design and First Linky Party! HAHA I am laughing at your bouffant Dracula which I think is hilarious but agree with what you chose-all in all they are utterly adorable! Thanks so much. As soon as I was done dipping, that's all that I saw – the big cinnamon bun hair that Dracula had in the movie. Oops! Focused on your vampires that I forgot to enter! I like the cone one the best cuz it's such a different shape 🙂 What an awesome giveaway-thanks so much!!! I love these!!!! Can I pretend one is Edward and bite it? <—Did I just say that out loud? Right now, I'm pretending it's Damon… Or maybe Stefan… Can't wait for the next season of Vampire Diaries. Such a guilty pleasure. Haha so cute! You've talked me into it, I'm finding this little set. I love it! I really like your chick-chick pops. Oh. My. Goodness. These are so awesome, Karyn! So freaking adorable. And I love that you tried Bram's bouffant. Dude, is it weird that I was totally obsessed with Dracula in high school? Not at all. I just wonder why the Vampires are all cool and suave. They are just hot ladies men. Why don't over weight old dudes ever become vampires? They're all hunky and in their 20's. Of course, in Bram Stoker's Dracula, he changed his appearance into a 20-something hottie. Thanks for the invite. I've linked up my Halloween Cake Pops! Sugar Flowers Cake Pops are super cute. Actually, they are all pretty cool. I think one of my favorites is the hens. But I love all of them. Good Luck! Thanks for popping over. I like the snow flake cake pops. It was hard to choose, but the martini glass cake pops look awesome!! the triple chocolate is pretty. I love all your cake pops and it's super hard to just pick one… I love the pumpkin candy bucket. 🙂 Ohhh, I hope I win !!! Love the witches! Pumpkins are too cute as well! Great work!!! Love the pumpkin pops. Especially since I was looking for something pumpkin to make for halloween. All of your pops are unbelievable. Keep up the good work. They are great. I love the pumpkin cake pops! Oh my goodness!!!!! You mean we can only like one cake pop design? I love them all and pray that I will one day have a talent such as yours. I really do like anything fall, such as pumpkins, leaves and anything fall colored. Cute and adorable cakepops! I don't wanna eat them at all,hahahah!!! I love your vampire cake pops!!! so cute! Hi I would love to see a tutorial for a peacock. 🙂 Thanks! You do great work! They are AWESOME!!!!!!!!! I want some! I always admire someone that can make a cute cake pop…I just don't seem to have that skill!! Precious little Vampire's! They will be a hit at any party for fall. Enjoy your weekend and thank you so much for sharing with Full Plate Thursday. These cake pops are too cute! Thanks so much for linking up to Creative Thursday. Can’t wait to see what you share this week! Have a wonderful week. I love your cake pops! I'll be featuring these and your Jack Skellington pops on OneCreativeMommy.com tomorrow. Please feel free to stop by and grab a featured button. You are so creative and talented. I've loved everything I've seen so far from your site. Oh these are just adorable! Saw you link up on a bunch of blog hops…Would love if if you linked up on my blog hop and added it to your list! http://www.w-t-fab.com/search/label/bloghop. Also let me know if you'd like to follow each other!